Ben Bernanke postpones pulling the plug. Great news! The stock market rallies to new highs. Everybody is happy again for that day, until the next day when the headlines read: 'Uncertainty returns, Dow down nearly 200 points' (CNN Money). What a nonsense! I think it's very alarming that the state of the U.S. economy is still in such a bad shape that the Fed decided not to taper yet. Basically the Fed keeps blowing up the bubble everyday when it doesn't taper and making matters worse in the future with their day-by-day policy (thank goodness we made those investors happy again, we kicked the can again) and yet the stock market is rallying?? To me it's a sign that greed is once again taking over, just like in the old days. It's not a matter of sound investing - it's speculating on main events such as Fed announcements, going to war yes or no, oil prices, etc that causes the market to rally. Because as we all know, the U.S. economy is artificially being kept alive - as soon the Fed pulls the plug it's over and we're in a recession again, maybe a recession that's even worse than the 'great recession'. The situation gets worse each day the Fed pumps money into the economy. 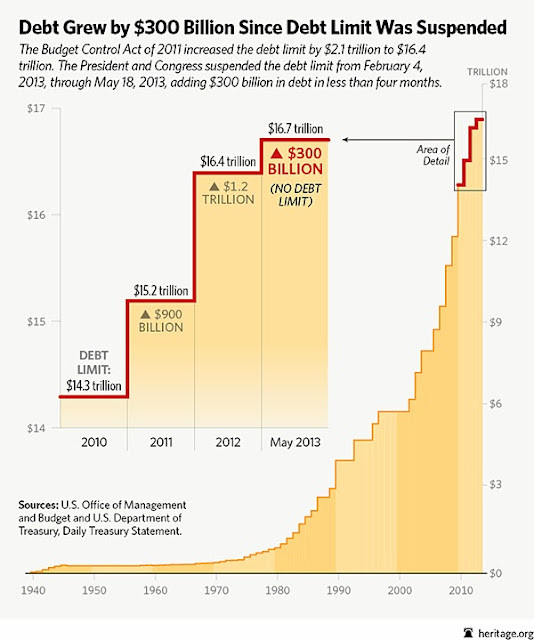 This money has to come from somewhere, and that brings me to my next point: the American debt ceiling. 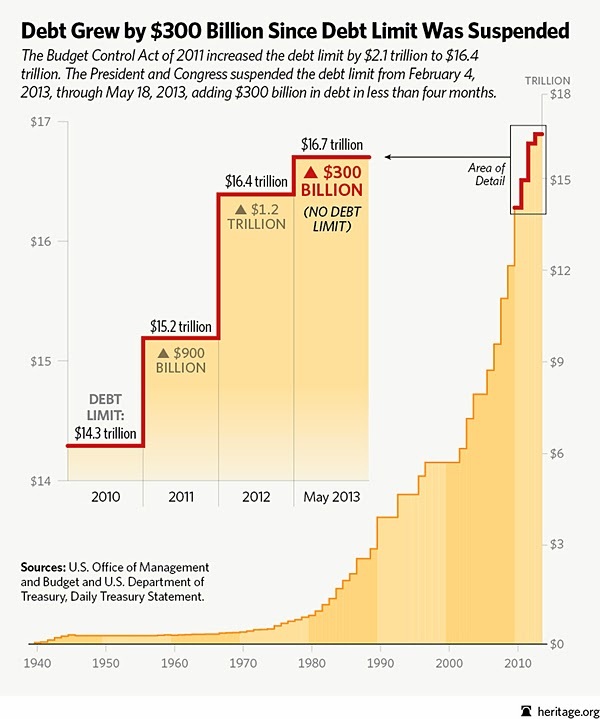 The American debt ceiling (around $16.7 trillion; lets spell that out; that's $ 16,700,000,000,000 !) will become a very serious problem around mid-October and yet the topic not really all that much in the news oddly enough. Would you buy anything if your country has an unhealthy debt like that? However, people are encouraged to invest, and they're buying not only stocks, but also the nonsense that's served to them; the 'oh look at those numbers' scenario, meanwhile the intrinsic value of their assets is deteriorating right in front of their noses, but no one really seems to worry all that much when it comes to the decline of the US dollar due to the fact the money printers are working overtime nowadays. The Dow is 'only' trading around 15,450, even lost almost 200 points Friday and the Fed is still pumping money in the economy? Imagine what would happen if this wasn't the case. I think it's a very alarming scenario at the moment, and will adjust my trading strategy accordingly. 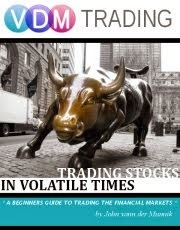 Keeping a close eye on the volatility index ($VIX) as well as the US dollar index. Stocks across the board will take a big hit once the Fed indeed does decide to taper (which has to happen sooner or later), because then there's concrete evidence that the markets will decline at a more rapid pace than expected - why else would the Fed wait with tapering at the moment if this wasn't the case? So my 'buy and hold' strategy is completely off the table, it's simply not feasible in this current economic climate - sooner or later the bubble will burst again and we'll see a stock market crash like we saw back in 2008, maybe even worse since there's more debt than there was in 2008. Nowadays if I want to buy a stock I'll stick with a call option with an expiration date that's somewhere in the near future, much safer and less risky I think. Furthermore I believe a lot of money can be made by shorting the stocks that will get hit hard when a scenario plays out like the one I described above - so called 'vulnerable stocks' $BKS, $RSH and $BAC (along with the entire financial sector if you ask me) and now $BBRY joins that list. There's plenty more stocks you can research on the internet. Keep in mind that each time the Dow Jones ends in the green, it's with the help of the Fed and not truly what the market actually is. Until this whole 'debt ceiling' issue is resolved, I'm not buying any actual stocks.